As long as it is tastefully done, and I still have access to the originals, it doesn’t bother me either way. After a few minutes, I no longer see the bars on either side. bmasters9, Jeff Flugel and BobO'Link like this. Curiosity got the better of me as I spotted the LOST IN SPACE complete series in widescreen DVD in the local WalMart. For a $20 bill and some change, I satisfied that curiosity. I was interested to find out which was a better "widescreen" image, the Blu-ray set on Zoom, or the new 16:9 DVD. The answer is that there isn't too much difference during the heart of the programs. The only place I saw any difference (and remember, this is a spot-check - obviously I haven't had time to appraise all episodes) is that the end credits seem to have been widened so that nothing is accidentally chopped off the top and bottom. One remaining weirdness is when the 20th Television logo appears, it's zoomed in and chopped off, looking pretty bad. I set about finding a random image with which to compare the Blu-ray with the new DVD. I selected Season Two, Disc One, and the tail-end of the first episode "Blast Off Into Space". The image I selected came from the teaser to the following week's episode. When I compared it with the Blu-ray, blown up with the zoom function, I got a nearly identical image, with just about the same amount of detail, since the zoom function magnifies the imperfections in the picture. If anything, the DVD looked a tiny bit smoother in this regard. But then of course all bets were off when viewing the Blu-ray at its proper 4:3 ratio and the picture's sharpness looked proper, and the top and bottom of the screen were properly viewable. ...that you just know wouldn't have been the director's intent. The packaging of the DVD set is actually better than the cardboard mess that the Blu-rays came in. I long ago moved those discs to multi-disc keep cases. Extras on this new set are nowhere near as extensive as on the Blu-ray set. There are no commentaries and none of the special "altered" or "fixed" versions of episodes, and none with original commercials. The original pilot is included, but it says "short version" and times out around 44 minutes plus. Network promos and bumpers that ARE included are in 4:3, and this set includes the LOST IN SPACE FOREVER show as well as a BEHIND THE SCENES OF LOST IN SPACE FOREVER. All in all, its an interesting addendum to this series' home video life, and my curiosity is now pretty well satisfied. If I get a hankering to watch a LOST IN SPACE in widescreen, I might dig this out. Or I'm just as likely to put on the Blu-ray and hit ZOOM once in awhile. Bryan^H, Kyrsten Brad, Jeff Flugel and 1 other person like this. Can you check and tell me if they still went with the pilot version of the “Penny scream” in There Were Giants in the Earth and The Hungry Sea? The music change is completely distracting to me, particularly in the latter episode. One remaining weirdness is when the 20th Television logo appears, it's zoomed in and chopped off, looking pretty bad. That is true-- I've seen the first four shows from my copy of it, and from what I've seen, the logo doesn't move much before the "Television" part appears and puts itself on the monolith. Still, at least that's there, and not the 20th Television logo of today (as has been mostly on Shout! 's releases [as far as they've gone] of L.A. Law)! You'll need to be WAY more specific in your instructions. Hmmm, okay, in the unaired pilot, when Penny sees the hanging mummy, she screams. In the shorter version and in the footage used in the two episodes, a more restrained “oh!” was dubbed over. For the Blu Ray releases, they put the original pilot scream over the footage used in Giants and Sea. But it wasn’t just the scream, it had to include the music sting heard in the original pilot. It is especially obvious in The Hungry Sea as it goes from John Williams’ original score to the sting and back. In both "Giants..." and "Hungry...", Penny's scream is loud. Definitely not an "oh". In both, I didn't specifically notice what score pieces you're referring to, but I CAN say with authority that the music used in the unaired pilot is from Bernard Herrman. The cue is "The Quarrel", written for GARDEN OF EVIL. That cue was often used in THE TIME TUNNEL. KPmusmag, Carabimero, bmasters9 and 1 other person like this. Addendum: I'm not sure if I made it clear that the "widescreen" frames I examined had no more information on the sides than does the Blu-ray for those same frames. If there is any extra side information that's presented, I have not found it, nor even looked all that hard for it. But I think its fairly safe to say that if you are watching the Blu-rays, you're probably not missing anything on the side edges. May I suggest that you do a comparison of the episode “Condemned Of Space” since both the Blu-Ray and DVD sets have it in widescreen. I thought about that, but I would think it would be a non-starter because I'm fairly certain that it was the same master. Other than one being sharper on Blu-ray, I'm sure the image edges would be identical. Well, in this scene in the longer version of the pilot, this cue isn't used. In this version, "Nocturne" from The Day The Earth Stood Still is playing and then when Pen sees the corpse, a very tinny - probably not Herrmann (unless it's one of his early TV scores) - cue come up with crashing cymbals and screeching horns. It sounds like a library "shock" cue. It's a bit more prominently heard in the Blu Ray version of There Were Giants in the Earth. The Hungry Sea dials it down a little, but coming out of the John Williams cue, which was reused to often in the series, it should be listed in the credits with the cast, it's jarring. It's one of two reason s why I kept my DVDs. The other was the missing "whoops Sorry!" narration for the "two weeks" cliffhangers. In my opinion they should have been the default. In any case, they could--and should--have been available as a secondary option using another audio track or video branching. It would have been very easy to do. B-ROLL, BobO'Link, ScottRE and 1 other person like this. I just compared the widescreen to OAR, and no thank you. The OAR kills the widescreen version which is extremely cropped on top, and bottom. It seems the Blu-Ray complete series is no longer being produced. Only available at Amazon through the marketplace. Being a Fox property...now Disney the chances of seeing this again is probably slim to none. On BD anyway. Please excuse the terrible screen caps as the lighting conditions, and really old LCD won't do the picture justice. But you will get an idea of the comparison of the two. Ron Lee Green, Darby67 and Jeff Flugel like this. I couldn't tell you for the life of me which set is the better watch. 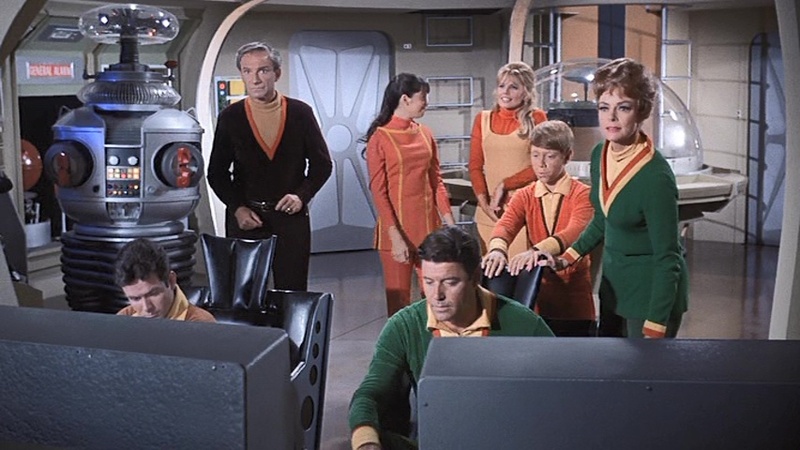 I am interested in the BEHIND THE SCENES OF LOST IN SPACE FOREVER. Think I missed that one. Which set is it on, the DVD or BD? not a vegetable rebellion in sight for me...! the jokier lightweight too camp episodes just irritate me as I always find them very predictable, repetitive and feel the show could have been so much better had it retained the action / adventure initial premise more ..
indeed if you watch the two parter; 'Seven Daughters Affair' (aka film 'The Karate Killers') the first episode is largely very camp and lightweight with Terry-Thomas, Telly Savalas etc playing it for laughs...but part two suddenly gets alot more serious in style ....I think this was because supervising producer David Victor ordered them to tighten up the show and stop playing it for cheap laughs, his directive must have come mid way through making that story ! 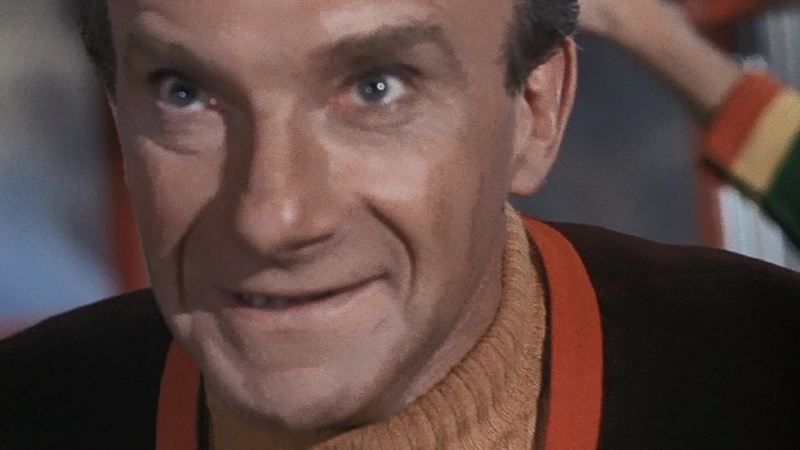 I have seen youtubes and read in books how Smith and Jonathan Harris were the MOST popular on the show...yet many seem to prefer the original premise of more action / adventue and like the episodes that feature the regular cast overall as opposed to just Smith, Will and the Robot - I am included in those viewers too ! I got the view the show split star, central character(s) and hero three ways - Smith and Will were normally central characters, Prof Robinson the hero while the real star of the show was the Robot who got the best lines !! Has the "restored in 2017" complete LISF and the behind the scenes as part of the last disc which includes episodes. Wal*Mart has it in some stores for $19.99 that includes a VUDU code for season one OAR and a ComicCon panel with the surviving members of the cast (sans June Lockhart). Screen grabs from the first season episode "The Space Croppers" with guest star Sherry Jackson. I think we can see some very important information is missing from the widescreen. Carabimero, Flashgear and Jeff Flugel like this. Blimpoy06, Carabimero, rjd0309 and 1 other person like this.